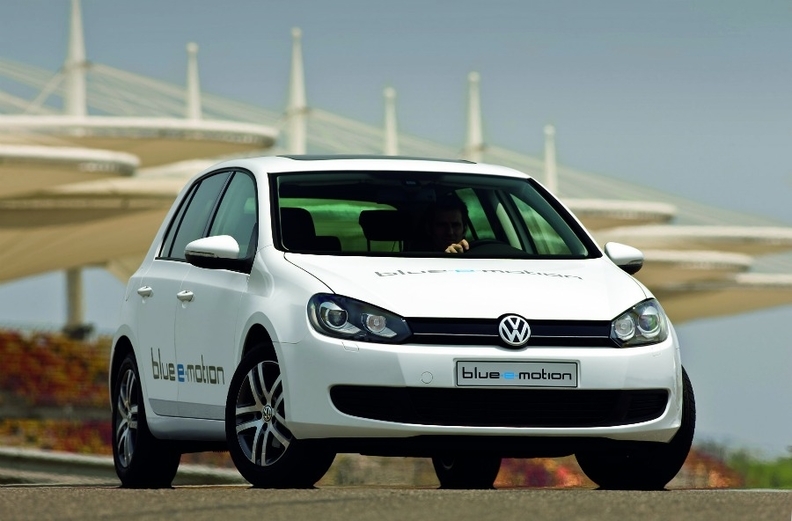 The Golf blue-e-motion EV will go on sale in the U.S. and Europe towards the end of next year. GENEVA -- Volkswagen of America plans to bring a plug-in car to the United States late next year, its first foray into the electric-vehicle market. The 2014 model will be an all-electric version of its Golf, Jonathan Browning, VW of America's president, told Automotive News last week at the Geneva auto show. VW likely will start with a limited rollout targeting specific markets before making the electric Golf available nationwide, he said. The Golf blue-e-motion EV model will also go on sale in Europe around the same time. The Golf will launch alongside electric variants of the Jetta and Chinese market Lavida, VW said. "It's a fundamental part of our powertrain strategy, but sometimes it's good to be a little more steady in terms to the approach to the market," Browning said. VW also is planning a plug-in version of its Audi A3 for 2014, but it's not clear whether that vehicle will be sold in the United States. Volkswagen, long a proponent of diesel cars because of their fuel economy, has been cautious about entering the EV market. The hybrid Touareg, which went on sale for the 2011 model year, was its first U.S. hybrid and was available only at a small number of dealerships. A hybrid version of the VW Jetta goes on sale in November -- long after other carmakers had put hybrids on the market. Browning said buyers want a range of options, and VW wants to offer a variety of alternatives, including diesels, compressed natural gas cars and hybrids. By 2018, VW envisions that about 3 percent of its vehicles sold worldwide will be hybrids and all-electric vehicles. VW says the Golf blue-e-motion has a range of 150 kilometers (93 miles) on a single battery charge.